Germany HVAC exhibition ISH 2015 (International trade fair for sanitation, heating and air) in the past five days until March 10 to March 14 was held in Frankfurt, Germany. ISH 2015 will be held every two years, the world's largest energy exhibitions relevant to the • heating and cooling systems participating in the world's more than 2,500 companies were visited up to 20 manmyeong visitors during the exhibition. 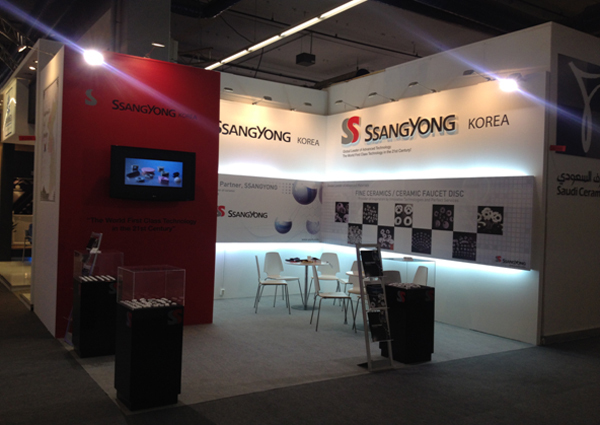 We participated in one booths in the relevant institutions based ceramic disk manufacturers, valve parts of the capital were exhibited F / disc. During the exhibition period, Germany, Spain, Italy Faucet Cartridge companies and other companies that had conducted a consultation by visiting our booth.